Located in converted brewery tunnels beneath the bustling urban landscape of Crown Heights, Brooklyn, Crown Finish Caves is a facility dedicated to affinage. 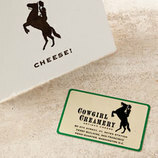 Rather than make cheese, Crown Finish receives young, often rindless cheeses from artisan producers in both the U.S. and Europe, and cares for them until they are ready to be sold. 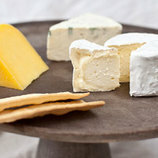 The tunnels maintain a year-round temperature of about 50 degrees, which is ideal for cheese maturation. 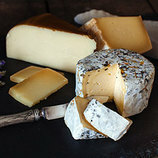 Bandaged Bismark is a unique sheep's milk cheddar made by Grafton Village Cheese in Vermont from milk sourced from Amish farmers in New York. It is wrapped in cloth and rubbed with smoked lard. 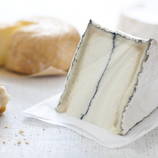 As the cheese ages at Crown Finish, it develops a caramel sweetness, a rich texture characteristic of Pyrenees-style sheep's milk cheeses, and bit of earthy smokiness toward the rind thanks to the lard.